So after being out of the hobby for about 5 years, I've finally started a new tank. 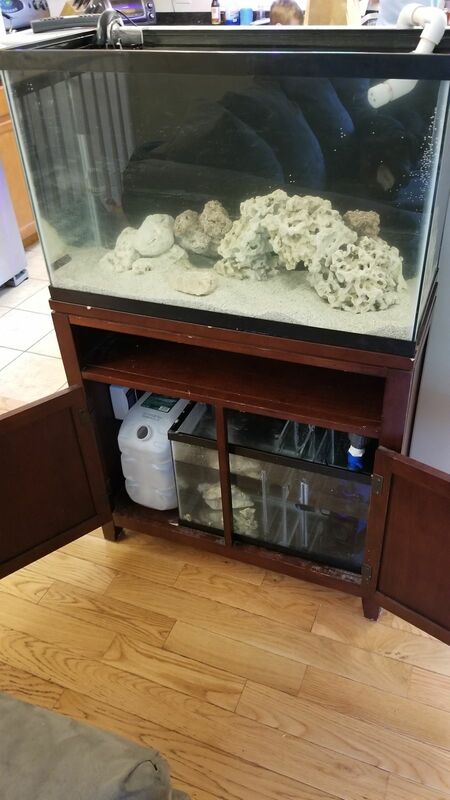 This time a 29gal with 10gal sump. Reeked havoc on the north east with mountains of snow and wind. We lost power for 5 days. And with an infant, once house Temps dropped too low we had to leave. We tried everything to keep the tank warm. Towels, bags of hot water, even a power inverter to my car. But with no power for that long there was also not much gas in our area. So that didn't last long. Eventually total tank collapse. May 19th 2018 I brought everything out of storage and salvaged what I could. Plumbed over the weekend and filled with water. It's been up for 5 days. Light and WaveMaker on order. I plan on keeping a mixed reef with a few sps eventually. My kids want a Clown of course I like the Picasso clowns. Would like goby shrimp combo. I think the watchman goby looks like Walter from Jeff Dunham. Open to suggestions. 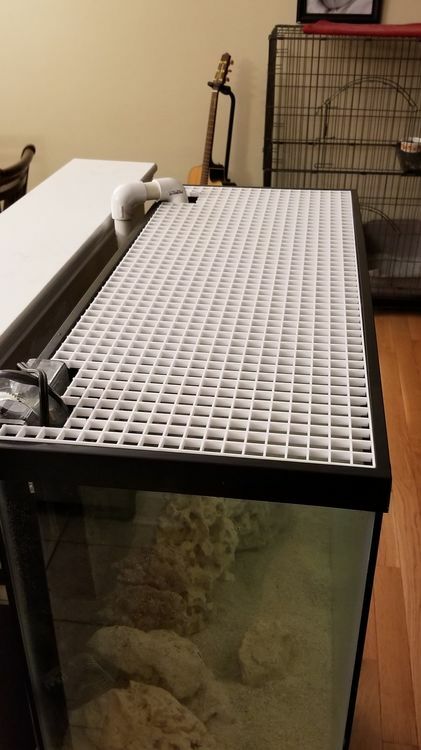 For corals I'd like a Rbta, frogs spawn or hammer, zoas, leathers, Monti cap, birds nest. Also open to suggestions. 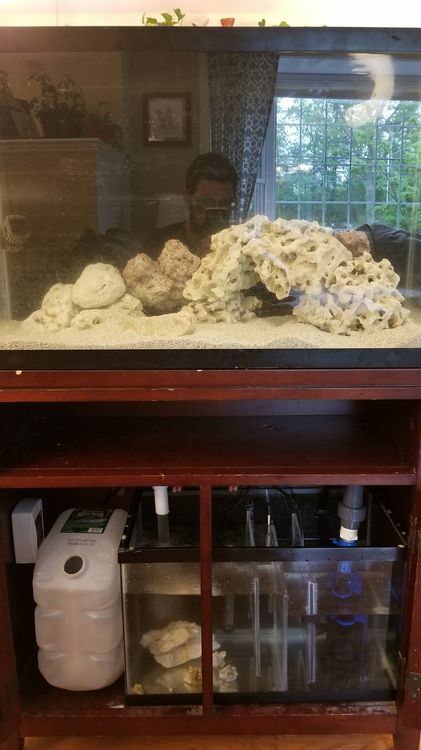 I'm so stoked to be back to reefing! Welcome back! I like the Picasso clowns but recent got the bullet hole /frostbite (seen them called both) clowns for my school tank and am envious of them being at school! Another possible is a purple firefish. Great colors and always hovering around. Good luck with the new old set up! That light diffuser for a lid will cut into your light output quite a bit. I’d cut out a good portion of the center and leave the outside as a frame and wrap it with the netting from BRS. Added 2 misbar clownfish. Absolutely love them. They are always together. 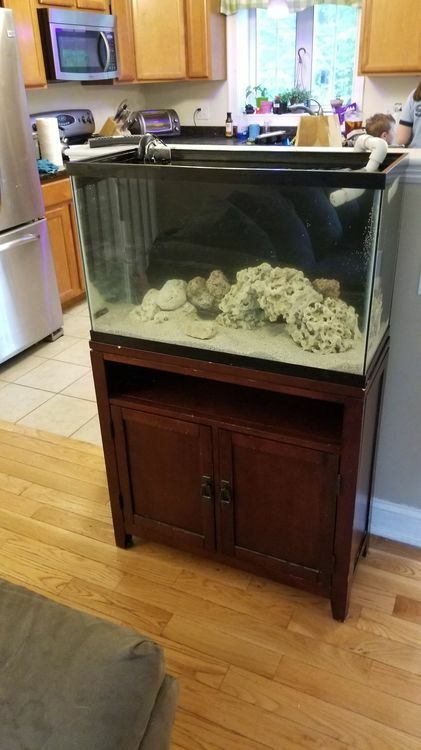 I cant wait to get a nem and see if theyll host. 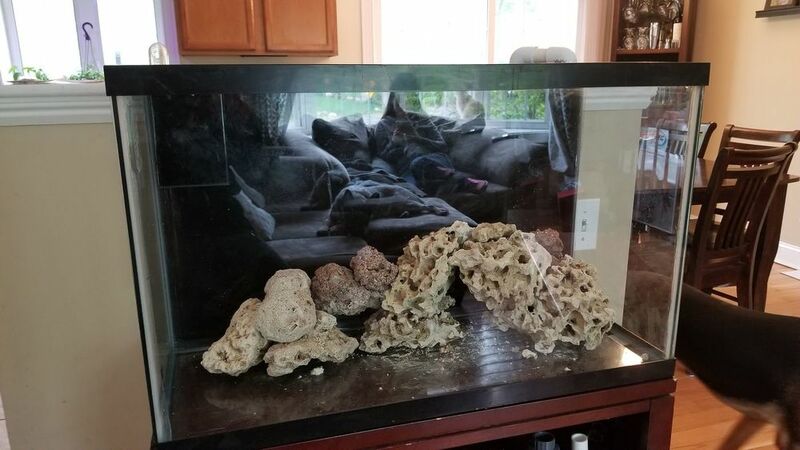 Picked up a piece of live rock from petco and surprize! A brittle starfish came slinking out! So cool! I got my cuc a while back from reefcleaners and some cheato. The cheato came loaded with pods. They are all over my glass. I also got a piece of flame algae. But i think the hermits are going to lunch. Do they have a taste for macros? 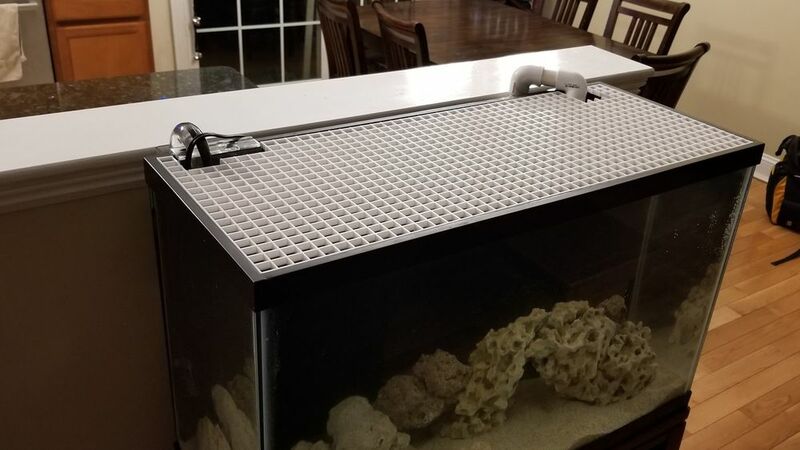 Now to get some corals in there! Welcome back to the reefer madness.The tank looks really good! Any plans on a back up in case power goes out? It's not too often that we lose it for 5 days. But short term power outage can cause big issues. Thanks! In Taunton we have a municipality and rarely lose power forore than an hr. BUT I have a generator just in case!